Welcome to OK Metal Roofing Supplies, where we manufacture the highest quality metal roofing and metal siding available in Oklahoma City or anywhere in Oklahoma. Our family run business has expanded because roofers want quality as well as value, and highly experienced roofers agree that you can't beat our quality or price. If you are looking for the best metal roofing supplies Oklahoma has to offer, then look no further, you've found your supplier. We value our customers and earn their business one customer at a time. We strive to give them the best product that we can manufacture and all the information needed to make an informed purchase. We have the most competitive metal roofing materials pricing in the area, and we want our customers to benefit from this. Remember, you are buying directly from the manufacturer and eliminating the middle man. For us, everything we do is for the glory of God first and the benefit of our customers second. We started in our company back in 2000 selling outdoor furniture in Texas and we have always been all about quality. That ethos hasn’t changed a bit over the years, and all our employees share the very same focus. If you are a roofer and you are looking for the finest quality and best prices on metal roofing materials near Oklahoma City, Edmond, Norman, Stillwater, Guthrie, Perry, Enid and more, we're worth the drive. We're also a family-owned business and we have the ability to provide you with a quality product and a product that can be made to any custom length you might need. Just tell us! Our metal roofing products use our premium galvanization process on 26-guage steel. This gives us the quality you need and metal roofing materials prices that just can’t be beaten. The 26-guage SR-60 roofing and sliding panel is not only strong and durable but also has a "siliconized polyester paint system". This makes it perfect for light commercial applications including mini-storage, residential buildings, or storage barns. If you're a roofing company or you're the type of DIY'er that is looking to complete a home project, purchasing from our metal roofing supply company right here in Oklahoma will provide you with a quality product at a highly competitive price. As a roofing company, you always want to provide your customer with the best replacement roof that you can get. For the DIY'er, you will be looking for a product that will last and not have any problems with it when you've finished. For both the roofer and the DIY'er, we know that our high-quality metal roofing supplies will give you the confidence to get the job done right and add value. The SR100 is our 28-guage product has a large amount of zinc applied in the galvanized substrate process. That is a full 10oz per square, which is higher than the 6oz for the industry standard SR60 version. This means that the G100 has 67% more zinc than the SR60 and therefore has serious corrosion resistance. If you were working on a project on buildings for livestock, then the SR100 would be a perfect choice. With its high corrosion resistance, the high levels of condensation you would find with livestock would be no problem at all. To make things even better, they are also coated with a siliconized polyester paint which is designed to withstand the elements. We believe that OK Metal Roofing has the best metal roofing supplies Oklahoma has to offer, and here’s why. Our SR100 28-guage is the strongest in the industry, it has a 2-step pre-treatment surface preparation to create more durability before painting. It also has two coats of sealer, two thick primer coats for better paint adhesion and to add to the resilience. Finally, there is a white back coat and a final top coat made from premium siliconized polyester paint. This is why we have given the SR100 a 40-year warranty on sidewall usage and a 35-year warranty on roofing applications. Our company supplies custom metal roofing fabrication services for all central Oklahoma and the surrounding areas. Our Customers Come From: Oklahoma City, Edmond, Norman, Stillwater, Guthrie, Perry, Enid, Ponca City, Tulsa and more. Our Tuff Rib Panel is the most commonly used product for siding and roofing in the residential and agricultural business. It is also known by the names Classic Rib, Ag-Panel and D-Rib. The panel is mostly secured using screws and is available in 29 or 26-guage material which can be painted or unpainted. However, the benefits of having it painted are high durability and corrosion resistance. You also get a 40-year warranty for the painted galvalume and a 25-year warranty for the bare galvalume, so it is worth the extra protection. You won’t just find metal roofing, we also produce a range of custom trim that compliments the roofing and provides additional protection and a professional finish. If you are looking for trim to finish off your project or to repair a roof for a customer, then we have a wide range to choose from. All of our trim is made by a digitally controlled, hydraulic trim machine. Most of the trim can be made in 2-inch increments starting at 10 inches and going up to 16 inches. We are here to help, so if you have any questions about the process or about a custom order, we are available to take your call. OK Metals only offers the best and highest quality Siding and Metal Roofing products available anywhere in the metal roofing industry. We're family owned and have the ability to supply you with any quantity as well as any custom lengths that you need. Our premium galvanization process on 26 guage steel allows us to give you a quality and price that just makes sense! The 26 guage SR-60 roofing and siding panel is strong and durable carefully coated with a siliconized polyester paint system, making it perfect for light commercial applications, mini-storage units or residential buildings including sheds and storage barns. Our 29 guage steel product has a large amount of zinc and is applied in the Galvanized substrate process, a full 10 oz. per square, where our SR60, the industry standard 26 guage has 6 oz. per square. For serious corrosion resistance, you’ll want to choose the G100 as it has 67% more zinc than the SR60. This is the perfect panel for buildings with livestock, where high levels of condensation and corrosion destroy typical panels. The extremely durable steel is then coated with siliconized polyester paint which is designed to withstand the elements. Steel: 28 guage, 80,000 minimum PSI making it the strongest in the industry. Two Layer Galvanization: 10 oz. of zinc protection = 67% more corrosion protection. 2 Step Pre-Treatment: Surface preparation before paint creates more durability. 2 Coats of Sealer: Seals and smooths before paint. 2 Thick Primer Coats: Allows for smoother paint surfaces and adhesion. White Backer Coat: Off white color on the interior allows for consistency and a brighter room. Final Top Coat: Best Premium Siliconized Polyester paint for durability and beauty. We have 25 choose to choose from. *SR100 we offer a 40 Year warranty on sidewall usage and 35 Year warranty on roofing applications. Fantastic quality in an affordable product. This is the industry standard and we take it to a higher level of quality due to our preparation process to inhibit corrosion and give you a high quality paint finish that looks great but is also durable. *SR60 we offer a 30 Year warranty on sidewall usage and 25 Year warranty on roofing applications. We also offer a range of fasteners so that you can use the correct one for the job. Screws are color coordinated to match the color of the roofing you choose. It is this attention to detail that has made us one of the best companies in the area. We have many colors to choose from including crimson, copper, gallery blue, and charcoal. In all there are 25 paint colors, so you can match or contrast the roofing or sidewall metal to the rest of the project. 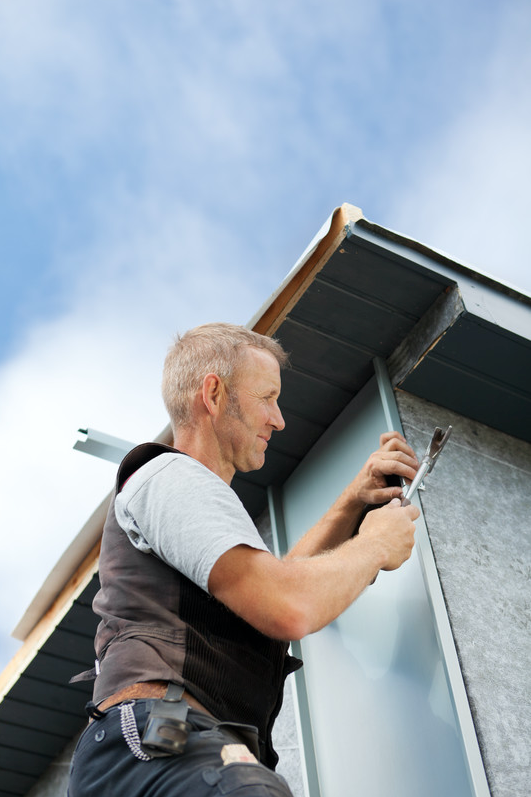 If you're a roofing company and have lots of jobs to complete, you need a reliable metal siding manufacturer. You can rely on us to create any of your custom-made metal sheeting to almost any length you need. Choose the color and the finish and then select SR60 or SR100. Choose the trim you'ill need to finish off the job and place your order with us. If we don't have it in stock, we'll give you a completion date for when we can deliver your product. We know how important your schedule is as well as quality, that's why we offer a long warranty as well as first-class customer service. Don't forget that metal roofing has also become a design element for interiors as well as the exterior. It works well for tiny homes as a shower liner, in the kitchen or even on interior ceilings, especially the metallic colors. Our Five-Star Reviews are proof of our quality and service and after all, we want you to be delighted with your product and our service. Protecting your building from the elements is the key to making it last. For many years people used wood for the siding, however it required lots of maintenance in painting or oil. Aluminum and vinyl siding was developed but it has it's issues too. Nothing surpassed the durability of steel with siliconized paint. When it comes to roofing, there are options like fiberglass shingles, tile and composite and they have varied levels of durability. Again, still surpasses all of these especially in heavy winds. 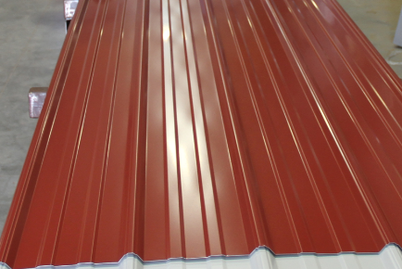 Our ribbed metal roofing will last for decades without any issues. Metal Roofing is also very attractive! It's not like the old tin roof that people remember from decades ago, where it rusted, needed paint every year or two and you only had the choice of white or aluminum colors. Let's not forget about the noise either, when it rained, the roof played a symphony that was nice during a sprinkle but vicious during a storm. Not anymore, under the metal roofing, installers can leave a gap or air space or even place a foam layer that helps to silence the noise and make for a very pleasant experience. This is why a decision to choose metal roofing over shingles has become an obvious one. Because we are a family run business, our name is on every product and we know that quality is essential. Our machinery is the latest technology and we can quickly produce the metal roofing products to your custom specifications. When you are looking for the best metal roofing supplies Oklahoma City has to offer, look no further than OK Metal Roofing. Remember, our SR100 sheet metal is heavy commercial grade and has high anti-corrosion properties. If your specs will allow it, you can save money by choosing our SR60 metal roofing instead. We still offer an unbeatable warranty on the metal, and you get the amazing siliconized paint protection. Whether you are a roofing company that is looking for the best materials, or you are a DIY'er looking to repair your shed, we know that we have a product that is just right for you. We put our customers first, so you can be assured of great products and high-quality customer service. That has been our way for many years, and it is how we will continue to do things in the future.